You might (or might not) find it interesting to learn that I read reviews for lots of books besides Calling Me Home. Yes, I read reviews of my own book, too. I freely admit that authors with the fortitude to avoid their own reviews are far stronger—and maybe smarter—than I am. But I do often read whole strings of reviews on Amazon or Barnes & Noble or Goodreads about other people's books. Why? Well, I'm curious what readers are looking for in stories—what they love, what they dislike or even hate, what causes them to want to run out and tell their entire contingent of friends and family to read the book they just finished, or what causes them to close a book, throw it against a wall, and say, "I could never recommend this." I think these are all fair reactions. I honestly do. After being a human being for what feels like an unreasonably big number when I look at it in years, I've learned that it takes all kinds to reach all kinds. Some books are just not for me. Some books are just not for you. Heck, my book may not be for you. Good thing there are so many books out there to please all our personal preferences, right? But I've noticed an interesting and somewhat disturbing trend lately when reading reviews—sometimes for my book, but just as often, for other people's books. (In fact, what inspired me to write this post was a recent review of someone else's book, so no need to go hunting anything or anyone down on my behalf--ha!) It goes something like this: "This book was terrible. I can't believe all the good reviews here. I wouldn't have picked it up except for all the blurbs saying how wonderful it was. These people were so wrong. 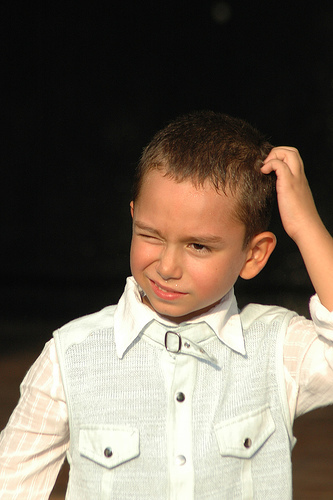 You can't trust blurbs (or good reviews or word-of-mouth recommendations or … fill in the blank) anymore. I'll be suspicious of them from now on." What it boils down to is this person has single-handedly decided the book was terrible and didn't warrant any positive reviews from readers or positive blurbs from other authors simply because, well ... they didn't like it. But it's still interesting, after the fact, even when it's too late to change anything, to see what people were bugged by. What made them stop reading at certain points? What made them rate the book less stars than the full number available? Sometimes the reasons are simply personal preference, but sometimes they are valid points. Sometimes they are things that make me think, "Yeah. That's good stuff. Next time, I'll want to think harder about that kind of thing." And sometimes I look at the same kind of critique of other people's books with interest, considering it a free continuing education in writing lesson. But when I read a review of the type I've mentioned earlier—the review that leaves no room for any argument, that pronounces a book terrible, period, and calls all good reviews wrong—I shrug. If it's my book, it has nothing for me. If it's not my book, it has nothing for the other author. And most of all, it has nothing for the prospective reader who may come along and peruse the reviews to decide whether to read the book. My biggest question is, why does the person bother to post a review like this at all if there's no room for any other opinion? Is it some sense of feeling vindicated? Is it that they were able to have their feeling of being wronged somehow reversed by writing this type of review? Sadly, I think it's a sign of our times, and it's an attitude that prevails in many, many arenas. "I'm right. You're wrong. Discussion over." Noticing this has made me more conscientious of situations in which I have made similar pronouncements. "Oh my gosh, that movie was horrendous … what on earth did anyone SEE in it? Why would they even bother? Why are all these critics calling it genius?" It makes me take a step back and think, what is it about this movie or song or book or new kind of food that has people so excited? What am I missing? If I study it from all angles and still come up short, I have to think, "It's just not for me." In which case, it's probably better to shrug and go about my business than try to build a case of Julie Versus The World. I have better ways to spend my time, don't you? Query letter. Two words that elicit so much anxiety in the belly-pit of a writer. Almost as much as 5-page synopsis. Unless you plan to self-publish, you have to write a query letter to tell an agent about your book. Why are they so darn hard to write? Maybe because they have too much to accomplish and a limited amount of space in order to do so. About 250 to 350 words, according to author (and former agent) Nathan Bransford. You can also use the search box on our site to find other posts we've done regarding query letters. And if you just can't get enough Query Letter 101, you can always swim with The Shark here. When Shadow, a gifted, ambitious magician, competed with the beautiful Camilla for the affections of organized crime leader Master Lung, she almost lost everything. Hiding out in Hong Kong, performing in a run-down circus, Shadow has no idea that Camilla, too, is on the run with her lover, Jinying – Lung’s son. Yet while Camilla and Shadow were once enemies, now their only hope of freedom lies in joining forces to eliminate the ruthless Big Brother Wang. Despite the danger, Shadow, Camilla, and Jinying return to Shanghai. Camilla also has her own secret agenda - she has heard a rumor that her son is alive. And in a city teeming with spies and rivals – including the vengeful Rainbow Chang – each battles for a future in a country on the verge of monumental change. Mingmei Yip was born in China, received her PhD from the University of Paris, Sorbonne, and held faculty appointments at two prestigious universities in Hong Kong. She immigrated to the United States in 1992, where she now lives in New York City. I reviewed Mingmei Yip’s Song of the Silk Road a couple of years ago, and found it fascinating, at times mesmerizing. Many readers here at What Women Write may not be aware I spent a considerable amount of time in Asia back in the 1990’s – with destinations in Thailand, Malaysia, Vietnam and Hong Kong. 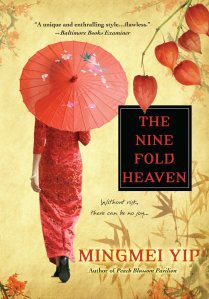 I’m not generally a mystery/thriller sort of girl, but I do enjoy novels set in Eastern cultures and I love the 1930s, so I was pleased to review The Nine Fold Heaven. The story is certainly original, and Yip is an expert at putting in details to bring her settings to life. I not only have an idea of what Shanghai looked like, but also what it sounded and smelled like. The same goes for Hong Kong, only my impression there is enhanced by memory because I’ve been to that city and know the basic layout. The Nine Fold Heaven is the second book featuring Camilla and the rival gangs with whom she is entangled. 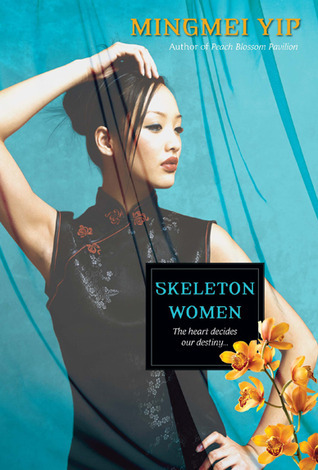 It can stand alone, but if people dive into this one without having first read Skeleton Women, Camilla may come across as highly unsympathetic to begin with. As I got to know her and understood her past, detailed in the first book, she grew on me and I genuinely hoped she would find happiness. She is a strong, brave woman, very bright, manipulative by necessity, and trained not to have emotions. Her humanity shines through in her quest to find her baby son and also in her relationship with the blind orphan, Peiling. If you enjoy mystery/thrillers and novels set in the East, definitely pick up one of Yip’s books. In addition to the ones mentioned above, she has also written Petals From the Sky and Peach Blossom Pavilion. A yoga studio I like just moved locations, and they offered a free class the other night. Being me, I cannot turn down a freebie, so of course I was at The Mat. Turned out they brought in a sort of rock star of a yoga teacher for the event. David Romanelli is a guy who combines the irresistible combination yoga and chocolate. And, yes! there were three chunks of chocolate awaiting the inhabitants of the packed room when we finished savasana. Delicious, of course. It was a good class, but for me, it was more than that. It was a story. As we flowed through poses, he told tales both personal and inspiring, and when my sneaky brain refused to simply empty, I thought that it felt almost like a conversation (even if I was uncharacteristically silent). 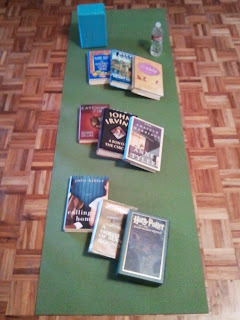 I enjoyed the class tremendously, and left feeling stretched in both mind and body. Yoga is all about being in the moment, in the room, on your mat, right now. Letting go enough to let something bigger happen. To me, it sounds very much--and is very much--like writing when it is going really well. The writing takes over, the brain still there, yes, but in a sort of dinosaur way, there to access if there is a struggle for a word, but often almost a biological element necessary for the real work to take place. For me, and I know I'm not alone, when I'm on a writing roll, it almost seems to have less to do with me than it does with the magic or the muse or whatever we choose to call it, but certainly something somehow greater than our fingers clicking over keyboard or scratching a blue stick along a piece of processed tree. When yoga is going well, it's less about what is in my mind, or how my body looks in a pose, and more about how I feel, inside, eyes closed, seeking balance or sensation or peace. But I think this was the first time I attended a class that was intentionally all about stories. And I liked it, enough that when he mentioned he was working on a book coming out next year, my sneaky brain perked up and knew I'd have to ask if we could interview him for the blog. (He said yes, so look for it next spring.) Not because it's a book, but because for him, and for me, yoga is a story. Everything is a story. 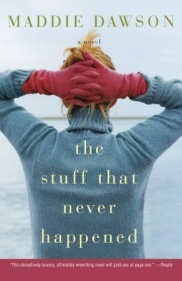 Last week, Susan shared a Center for Fiction link to the long list for the 2013 Flaherty-Dunnan First Novel Prize. 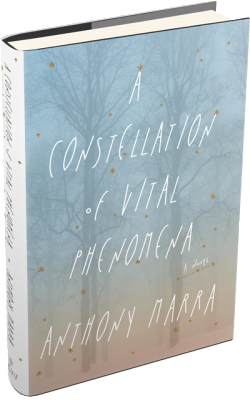 I was excited to see a novel I’m reading now, Anthony Marra’s A Constellation of Vital Phenomena, a stunningly told story that drops the reader into alternating timelines in war-torn Chechnya. Yet as I read over the list, I was embarrassed to admit I'd only heard of two of twenty-one other novels. Why hadn't I heard of those books? Which made me wonder, whose opinion do you value when choosing your next read? New York Times Bestseller list? Oprah? I receive email newsletters from Powells, Barnes & Noble, Audible, The Kenyan Review, among others. I follow the Twitter feeds from L.A. Times Books, Simon & Schuster, Media Bistro's Galley Cat, The Paris Review, to name a few. I could spend all day, every day reading lists, adding each book to my never-ending TBR spreadsheet, but my writing time would suffer. There's a line in the movie Mona Lisa Smile where Katherine Watson (Julie Roberts) ask her Wellesley art students, "What is art? What makes it good or bad, and who decides? To which Betty Warren (Kirsten Dunst) replies, "Art isn't art until someone says it is." And then, "The right people." So who are the right people? Fiction is subjective, we all know that. I love historical fiction, though lately I've been expanding my reading horizon. I love finding novels that are not necessarily the most widely-read, but whose characters haunt me until I tell the world about them. Catherine McKenzie (author of the novels Forgotten, Arranged and Spin) started a Facebook page, "I'll bet we can make these bestsellers." Her mission: "Welcome to the AUTHOR/READER EFFECT, where authors and readers band together to bring attention to deserving books. Because who says Oprah's the only one who can get people reading?" Carol Woods, freelance editor and founder of Lesser North Texas Writers’ critique group says, “Sometimes I read bestsellers but not because they're on the bestseller list; they definitely have to appeal to me on a personal level. Covers and back-of-the-book blurbs are the first elements I evaluate, but I've been burned even by those (there's a publishing house I've learned never to trust). I spot my potential buys in bookstores, CostCo (the person who selects their books has my interests nailed), Publishers Weekly blurbs (especially the Friday email that focuses just on books and not the industry), personal recommendations, and mentions of titles that I spot in articles that might have nothing to do with reading. Of course, there are authors that I try to keep up with--despite reading 40 or so books a year, I doubt that I'll ever read all that I want to, but please don't tell me that." Pamela: I rely heavily on recommendations from friends (mostly y'all) whose opinions I trust. I'm also bad about (I suppose) reading the same authors, therefore limiting my exposure to debut authors. I also read what I might not normally pick up due to book club selections. Other than that, I always read the Dallas Morning News' Sunday edition's book reviews to see if anything piques my interest and have also discovered books based on recommendations from writers I follow on Facebook. A time or two I've purchased a book from an Amazon recommendation based on a past purchase I've made. I remember discovering The Stuff that Never Happened by Maddie Dawson that way. Susan: I read reviews. For example, I picked up (and loved) Claire Messud's The Woman Upstairs because of this series of interviews: Publisher's Weekly, NPR, and Slate. However, I usually like to see multiple positive reviews before I go buy a hardback. This book was worth it-- I really loved it…. Kim: I get a lot of my ideas of books to read from friends on Facebook. Many authors will mention books that they enjoyed on there and some will specifically tell me I would enjoy certain ones. I also look on Goodreads. Elizabeth: I, like Pamela, read book reviews every Sunday and most weeks there’s something that I either buy or put on request at the Dallas Library. I’m also a good one for just picking up random books that look good (covers do matter, I guess! ), and reading the acknowledgements. Often the writer will thank their agent. There are many agents whose names almost guarantee I will like the book. And I’m usually right! Another way I get recommendations is from friends and, much to my daughter’s chagrin, strangers. If you are next to me in a longish grocery line, odds are I’ll start a conversation with you, and there’s a good chance the subject of books will come up. I’ll recommend, and get recommendations in turn. And I have gotten some good reads that way. I graduated as a history major—and I remind myself of that every time I feel like I am spending more time on Book Research than I am on actual Book Writing. I'm truly an historian at heart. The research is half the fun. I've gone down the rabbit hole of the Internet and have traveled to hollers and hills just so I can write about them. A few years ago, I wrote here about firing a few guns for the first time, all in the name of Book Research. In truth, I am at the end of my revisions of this manuscript, and all the research I've needed to do has been done. I've spent a week in silence in a Trappist monastery. I've completed tours of the Kentucky Bourbon Trail. I've studied in the Kentucky Library, lost in the musty stacks for hours. I've read books on the history of Kentucky's covered bridges, I've walked the banks of the creeks and rivers that figure so prominently in my story. In fact, I'm giving this draft to my agent within a matter of weeks! Isn't my research complete? Yet here I am, visiting Kentucky, and I couldn't help myself from digging a little deeper, which in this case, meant walking up and down my mother's street, asking questions. Many of the people here have lived in these homes since the 1940s and 50s. Several are well into their 80s. One dear neighbor just celebrated her 95th birthday. What could I find out about 1950, I wondered, by asking the politicians, businessmen, and housewives of the day? Quite a bit, I found out. I spent a full day in interview mode, asking questions and teasing facts from the memories of the octogenarians on Sterling Avenue—those who remembered when Harry S Truman came through town on the train, or who could tell me about moonshiners and bootleggers (all hearsay, of course,) and whose memories spanned dirt roads and county lines and voting booths in country stores where the precinct man told you how to vote for a half pint of bootlegged liquor. I've spent the past twenty-four hours trying to assimilate all the information, thinking of ways to integrate small nuggets of fact into my novel. And then I realized that my research had been more than that. Yes, the stories have helped me add a layer of detail to my novel that I wouldn't have had otherwise. But the experience of sitting with men who could tell me the secrets of the past without worry is something I'll never forget. It's not so much about fiction, and writing, or even about selling a novel. It's about living, and passing things down from one generation to the next. It's about asking questions and finding a wealth of information, right there in front of you, if you only think to ask. I'd originally thought that no one would want to talk to me, or tell me anything interesting. Or perhaps they wouldn't even remember. Instead, I had a wonderful afternoon and left with far more than I ever expected, all because I asked questions. Something interesting I've noticed, though, has illuminated a truth about fiction in my mind. People love fiction because it takes us places we may not be able to visit ourselves, puts us in situations or relationships we might like to be in, but can't, and basically, allows us to live other lives. And a strange result of that is the stories, for the most part, are untarnished by reality. In reality, traveling for nearly three weeks with my family hasn't been the fantasy version of a family trip to England, Ireland, and Scotland I've carried in my mind for the five years since I first visited some of these same places with my husband. I dreamed of this trip. We saved frequent flyer miles obsessively to make it affordable. And it was going to be perfect, right? My teenagers like to sleep. They like to eat when they like to eat. 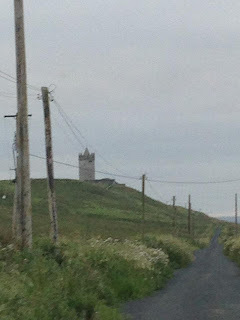 They like to stay connected to their friends and they get homesick even when they are in the Highlands or the Emerald Isle. We ride a train from London to Edinburgh and the air conditioner in our coach is broken. As usual, we have brought the heat wave with us from Texas, and the country is experiencing record heat. We are kept company by a "hen party"--a group of about ten young women returning from a bachelorette weekend. They are drunk and rowdy and singing at the top of their lungs. It's four long, miserable hours. My husband and daughter take turns standing in the space between cars where they find a little breeze. My husband and I bicker over directions as much in Ireland and London as we do at home. Well, maybe more. The GPS gets a little confused. We can't remember if the castle we see from a distance is the RIGHT castle and argue about it until we spot the house we're renting, because we use the castle as a landmark to find it. The car air conditioner has funky controls and doesn't make sense to me, but it makes perfect sense to the other three passengers, so they get all hot and bothered when I, closest to the controls, can't make the car cooler in less than ten seconds. In a pub, we stand awkwardly to the side, squeezed into a doorway while we "listen to Irish music in the Irish Music Capital of the Word." We leave after 20 minutes because it's unbearably hot and we really don't know how to do this. How do you order? How do you pay? Do you tip? Do you sit if you're not drinking? Can a 15-year-old even be in this place? We realize the house we're staying in, advertised as having "washer and tumble dryer," really only has a washer, and though I guess clothes tumbling in the breeze from the window while hanging on a rack counts, I pray the underwear I washed will be dry before morning, because I'm out. We plan to make spaghetti one night to save money and because it seemed like the easiest thing to cook in another country. We realize we forgot Parmesan cheese, so we make a side trip of ten extra miles to grab some at the nearest supermarket--about the size of the local convenience store at home, and if possible, even less choice. It's unclear if the one canister labeled "grated cheese" really is Parmesan cheese or not. But we buy it and come home. We brown the "mince," not sure it's actually good as the refrigerator isn't quite as cold as the one at home and it looks and smells a little off. We eat, praying our stomachs don't start heaving before morning, and throw about half of the finished dish away because ground beef in Ireland doesn't taste like ground beef in Texas and nobody really likes it. Anyway, you get the picture. This is nothing like the romantic visions of Ireland or Scotland or England I signed up for when I read Maeve Binchy or Rosamunde Pilcher. This is real life. And of course there have been moments on this trip when I've looked around and thought, yes, this is what I was going for. This was my dream trip. The moment in another pub tonight when I was swept up in the music, immersed in the sense of being in a "real Irish pub" and in the feeling that we were doing it right this time. The moment when we laughed hysterically along the narrow, narrow road at the sign that said, "Dangerous Fridge Ahead"--some teenager's prank, a B changed to an F.
The moment when we sat in an Italian restaurant on the High Street in Edinburgh and practically lapped up the delicious carbonara sauce left in our dishes after the pasta was gone. The moment when my daughter turned to me and said, "It's pretty amazing to be in Ireland." But if all these perfect moments were written into a story within the context of the others, the reader would be pretty stressed out--maybe even bored. Make fiction better than life. Take the reader away. Even if the story isn't all roses, even if it's dark, give the reader in the best possible version of a setting, a situation, a relationship. Reality may never be as perfect as fiction, but in the long run, it's why we read.